There are few festivals today that match the caliber of the legendary event that is Ezoo. The festival has been going strong throughout the years and we are almost upon the biggest show to date. Ezoo will be celebrating its 10th anniversary and I can only assume that they are gonna be bringing out the big guns for this one. We're almost into August and that means that Ezoo is getting that much closer. The festival is taking place form August 31st to September 2nd, and as we get nearer to the dates our anticipation and excitement only increases. So in order to get you somewhat prepared for the event I have put together a list that goes into the top 3 acts of the festival and which ones I think you should definitely not miss out on! Virtual Self aka Porter Robinson has opened up new realms for electronic music over the past year. Since the creation of this huge project Porter has embarked on multiple shows and has been putting out some fantastic music. Virtual Self has been making waves throughout the scene affecting every corner and artist with his mesmerizing tech-house, trance music. It really takes you back in time to a period in electronic music where there was a certain authenticity to the way it resonated with people, and when you combine that aspect with the modern energetic flavor of today's electronic music you have a recipe for something truly unique. Especially in this overly saturated mainstream landscape we have today the Virtual Self project has been so refreshing to see and it has definitely brought new life into the scene. He will be performing the first day of the festival, Friday, August 31st and definitely deserves my #1 pick to see at the event. If you're looking for an experience that is beyond the normal confines of an EDM show this is an artist that you have to see. 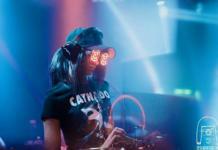 Rezz has garnered a massive, almost cult-like following over the past two years and it is for good reason. The “Space Mom” seems to be unmatched in here creativity and talent providing us all with some hard, dark and bass heavy rhythms to lose ourselves in. She surely has the magic touch when it comes to music and putting on memorable shows, creating an other worldly atmosphere that is unmatched by a lot of the acts that we see touring today. This is exactly why I feel you would be cross to miss out on her set, she has already set the stages on fire at festivals like EDC and Ultra so I'm sure you can only expect that she will not be holding back on this one. Her set will take place on the second day of the festival, Saturday, September 1st. I would really make sure you get to see this “Space Mom” in action! Illenium has ben on a rampage over the past year creating an album, singles and remixes of the like that are both beautiful and inherently powerful, and he doesn't seem to want to stop anytime soon. 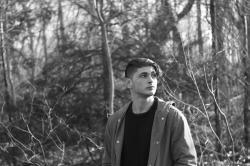 Constantly feeding his momentum, this artist has been collaborating with some big names, just recently dropping a track with the legend himself, Excision. So you could only predict that his set at this legendary festival is going to be breathtakingly good. If you have seen any of his previous sets you would know how much of a show he is capable of throwing down, and definitely has to take the 3rd spot on my list of artists to see. His set will be on the last day of the festival, Sunday, September 2nd, so be sure to not miss out on that and get ready for a show that will inevitably take your breath away. So there you have it, my top 3 picks of the festival, and luckily for you they all fall on a different day so you shouldn't really have an excuse to miss out on any them! Also, if you haven't gotten your passes for this festival already I would strongly recommend you grab them now before it is too late. This is one special event that you definitely do no want to miss! !